Former Missouri Senator Kit Bond. 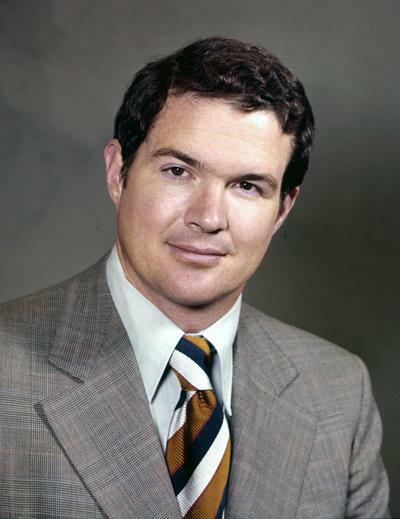 Former U.S. Sen. 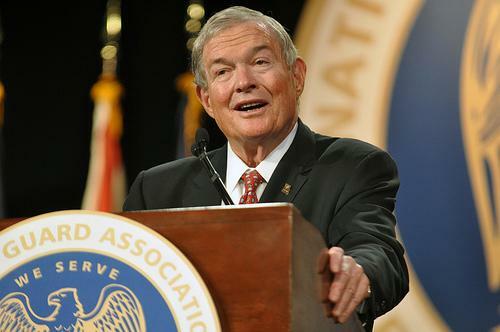 Kit Bond is teaming up with a former U.S. marshal to start a private security company. Kit Bond Corporate Protection Services will be based in Columbia. The president of the new business is Mauri Sheer, who until May had served as a federal marshal in western Missouri where he coordinated security at three federal courthouses. Sheer also worked for the U.S. Secret Service for 27 years. 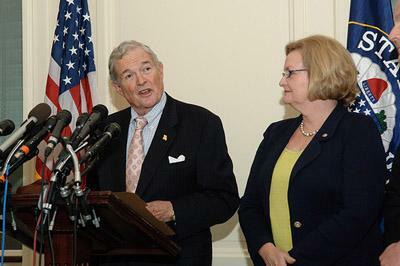 Bond retired from the U.S. Senate in January. The Kansas City Star reports the company plans to assess security and identity potential threats for corporations and other institutions such as hospitals, churches, universities and professional sports teams.